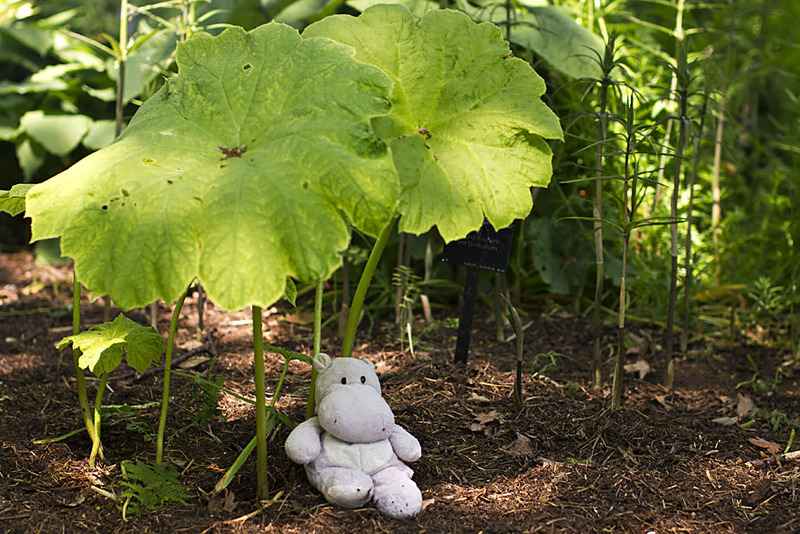 There are many wonderful and unique attractions that can be viewed at Kew Gardens. 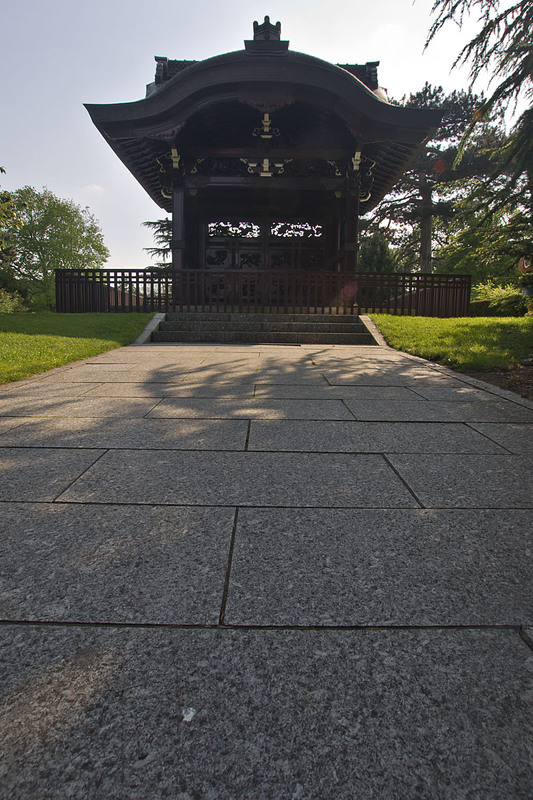 The serene Garden of Harmony with the Chokushi-Mon (Imperial Envoy’s Gateway) are gems in Kew’s landscape. The Japanese Gateway perched above the Japanese garden. 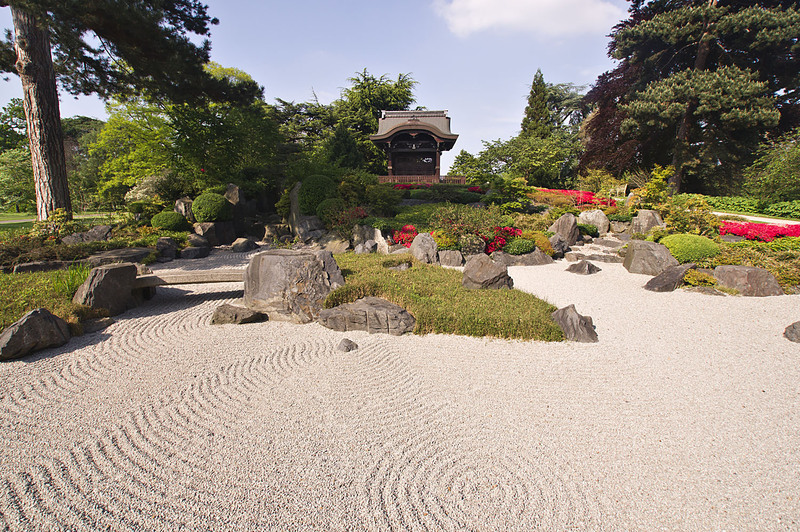 The Garden of Harmony was designed in the style of the Momayama period of the original gateway. The gateway is a four-fifths replica of the 1573 Nishi Hongan-Ji gate in Kyoto, Japan. The gateway was created for the Japan-British Exhibition in London in 1910. 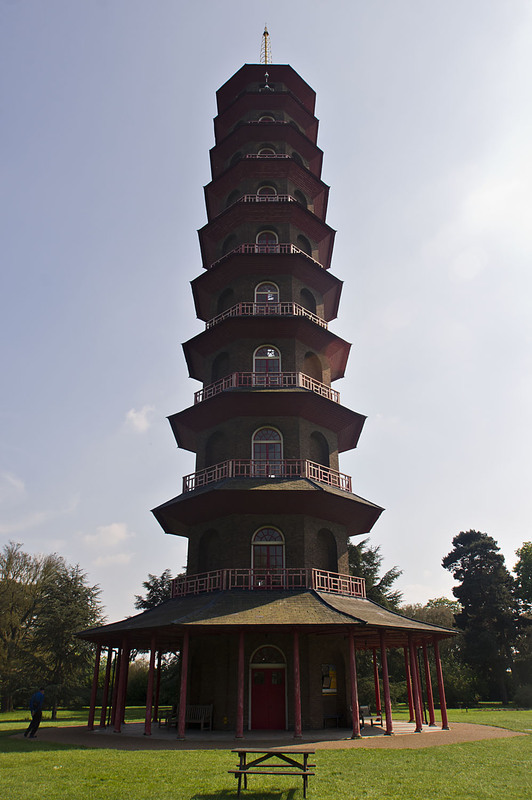 Once the Exhibition was over the gateway was dismantled and reconstructed on Mossy Hill, near the Pagoda in Kew Gardens. 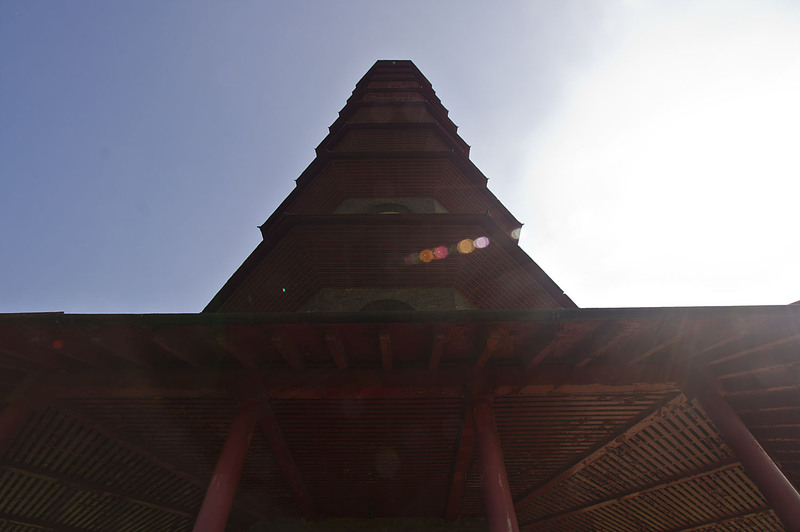 The Great Pagoda was completed in 1762 under the supervision of Sir William Chambers from a design imitating traditional Chinese pagodas. 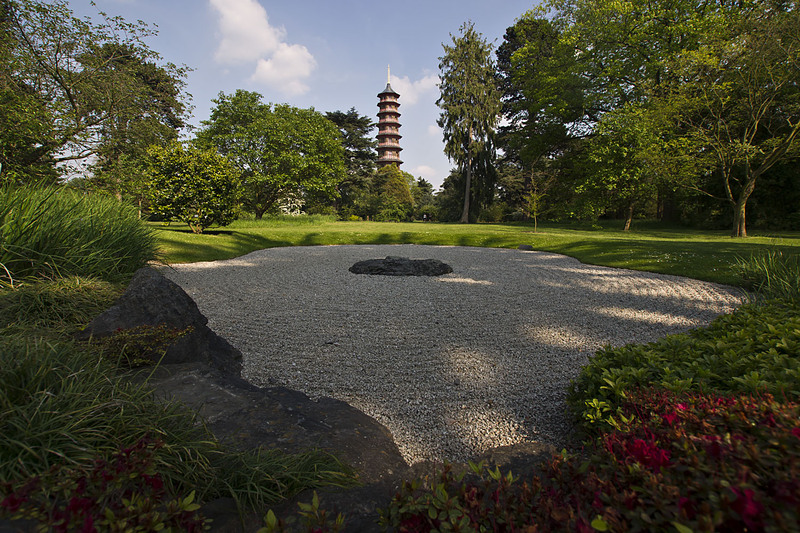 We ended our tour of Kew Gardens with a relaxing break under the shade offered by the Great Pagoda. 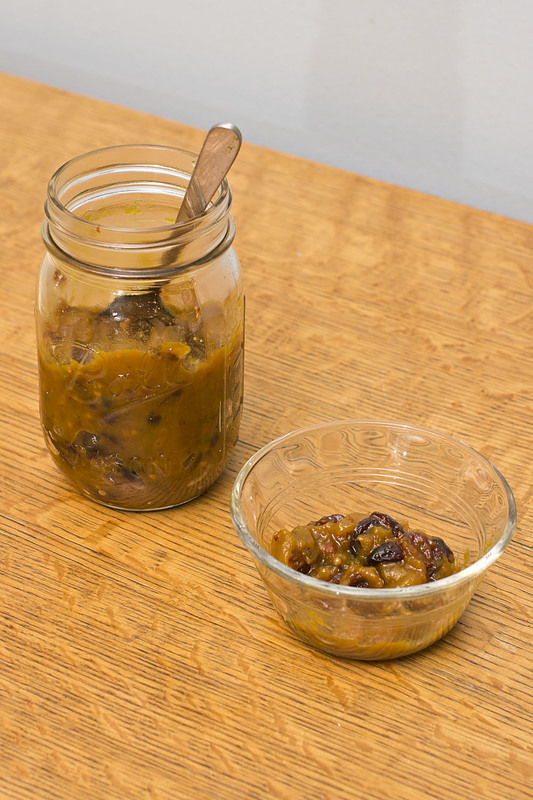 This is a delicious spicy apple chutney that I created upon my return from the United Kingdom when I discovered that chutney is not easy to find in the Midwest. I soon realized that if I wanted a ploughman’s platter or sandwich which I had come to love so much I would have to make the chutney myself. 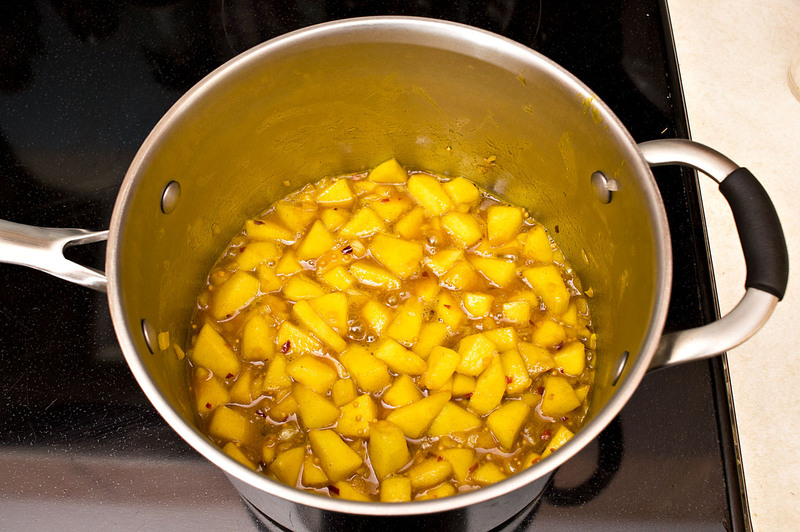 For this chutney, I have included some Indian flavors that the British are so found of and which I adore. 1. Toss the apples with the lemon juice to add extra tartness and keep the apples from turning brown. 2. 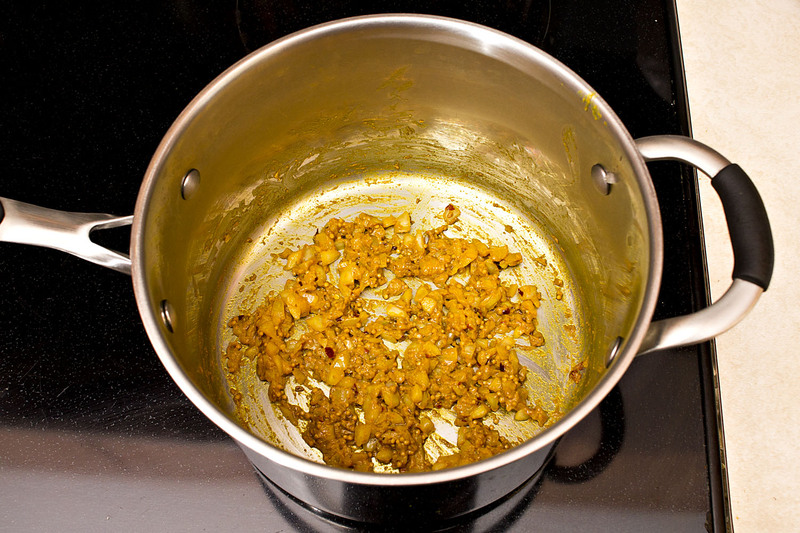 In a medium saucepan over medium low heat, warm the 2 teaspoons of oil then add the onion, cumin, salt, mustard seed, turmeric, ginger, red chile flakes, and cinnamon. Sauté until the onions are translucent, stirring occasionally, about 7 minutes. This is what the onions should look like after about 7 minutes, note that they are not browned. We are just looking for the onions to become slightly tender and the spice profile to develop. 3. 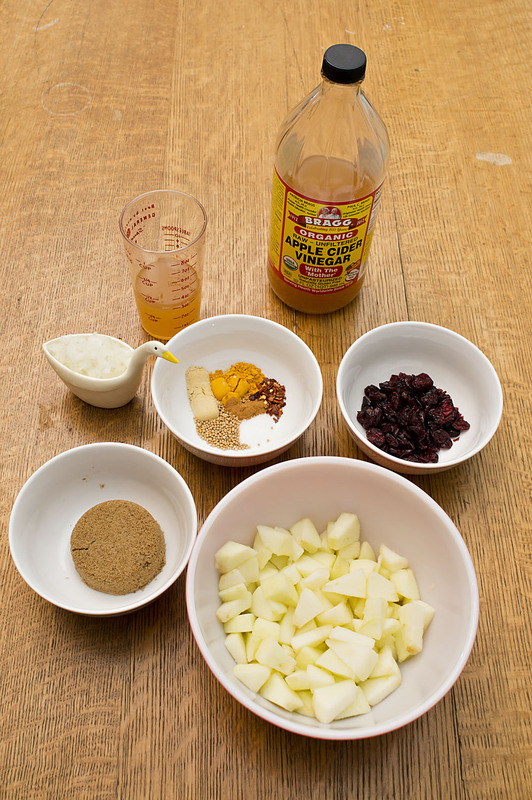 Stir in the apples, brown sugar, and vinegar, raise the heat to bring the mixture to a boil. Reduce heat to a simmer and cover for 30 minutes. 4. 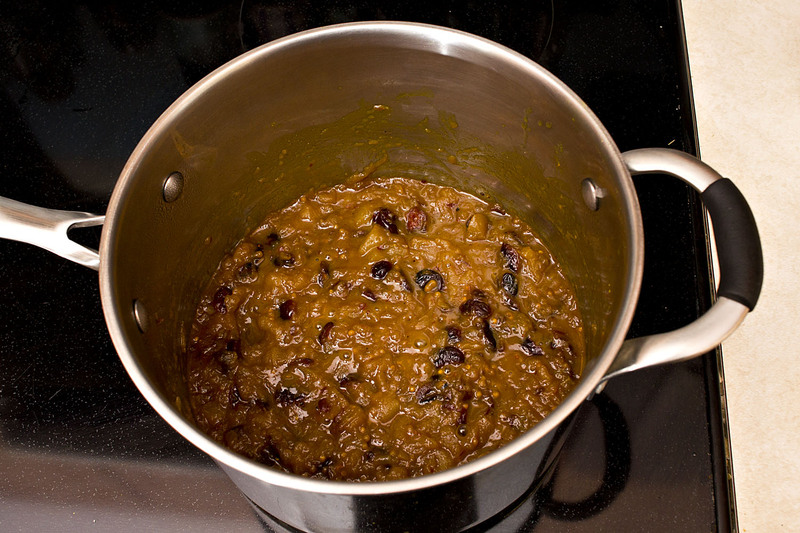 Add the cranberries or raisins and 2-3 extra tablespoons of apple cider vinegar: simmer uncovered, stirring frequently, until the mixture is thick, this will take anywhere from 5 to 15 minutes. Season to taste with salt and pepper. 5. 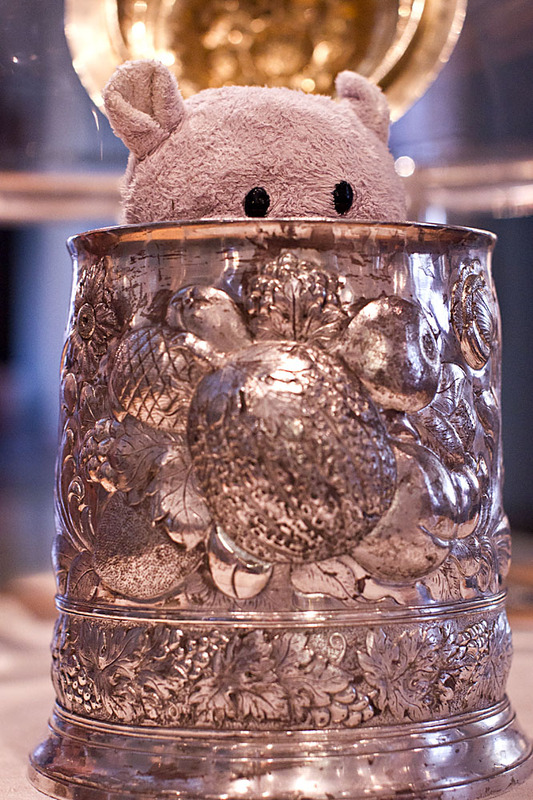 Spoon into a glass jar or other storage container and allow to cool until no longer steaming. Cover and refrigerate for up to 2 weeks. This Spicy Apple Chutney is great on a ploughman’s sandwich which is made with a hearty bread (we like oatmeal bread), an aged cheese, butter, lettuce, and a tangy chutney. We hope that you enjoy our take on a spicy and tangy chutney and that it makes your ploughman’s sandwich remind you of your journeys in the United Kingdom. When returning from an amazing vacation there is always the fear that post-vacation blues will hit the newly returned traveler. To avoid this gloomy mood, I will be posting several tips that are sure to brighten your mood and keep you excited about your vacation, even after it has concluded. 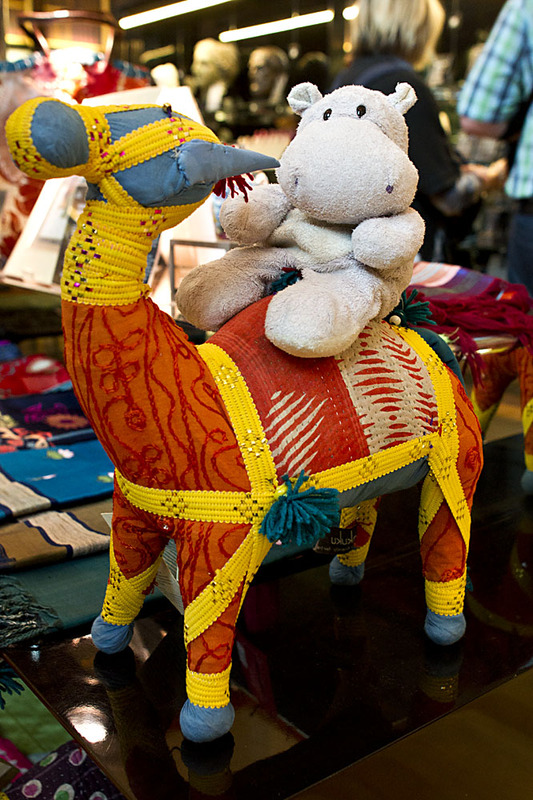 One of the best ways to extend your vacation experience is to bring back customs that you learned while on your travels. 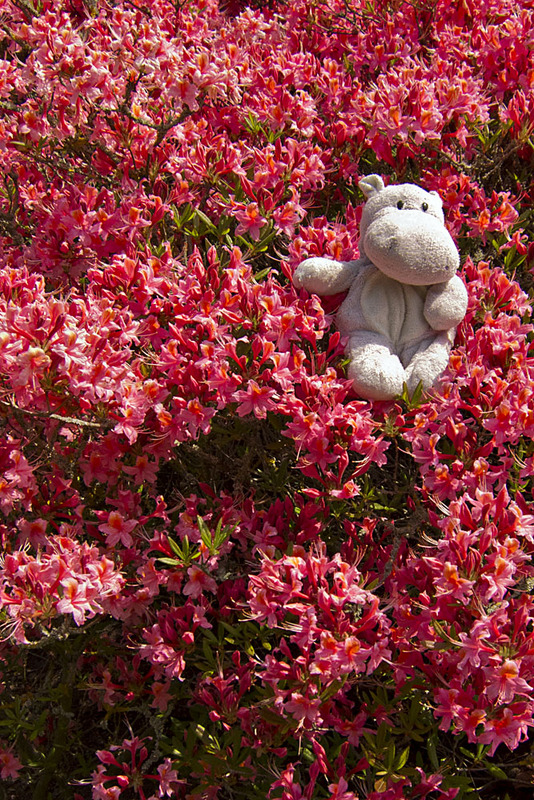 For a tiny hippo, such as myself, discovering new flavors are a big part of traveling. When I return from a vacation I try to bring home some new flavor ideas to recreate in my own humble kitchen. Once I have mastered the new food techniques at home I like to share them at a special occasion with friends and family. 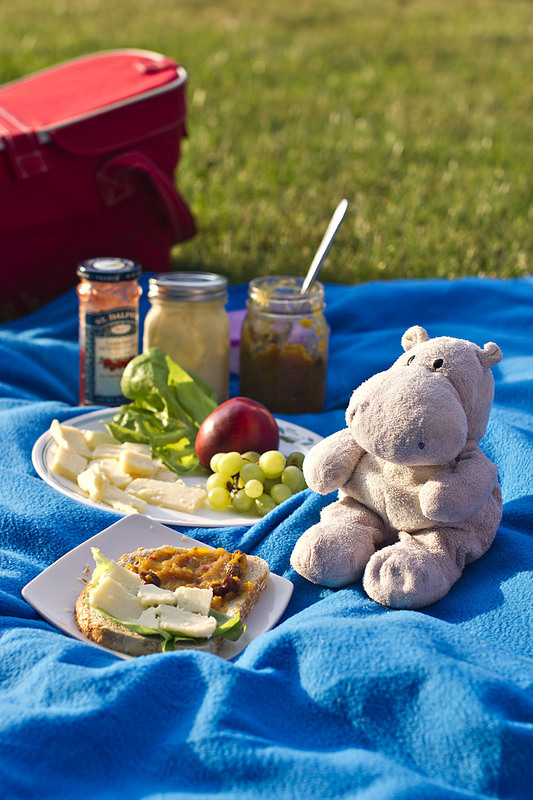 The perfect occasion for trying new foods is, of course, the picnic! While traveling in the United Kingdom I fell in love with the ploughman’s platter, and more specifically with ploughman’s sandwiches. These scrumptious sandwiches are made with a hearty bread, an aged cheese, butter (all sandwiches in the UK seem to have butter on them), and spicy and tangy chutney. 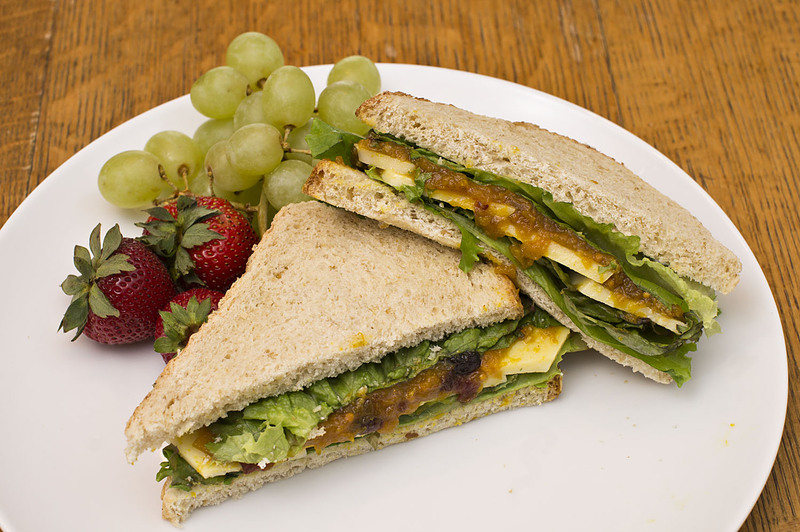 The chutney is key to this sandwich, without it you just have a plain cheese sandwich. Recreating foods that you enjoyed during your vacation and then making a bit of an event out of them, such as a picnic, is a great way to bring your trip home with you. 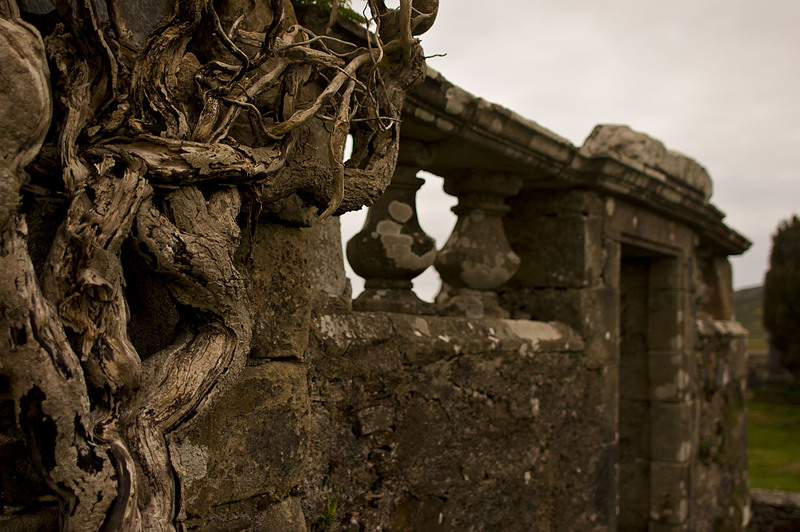 This post-travel tip allows you to bring your vacation home with you while avoiding corny souvenirs that have no personal connection to you. Follow the link to my spicy apple chutney to spread onto your own ploughman’s sandwiches and stay tuned for homemade scones with fresh clotted cream. Click here to see more of my Travel Tips. Whether sightseeing in the country or city there are several things that you need to do in order to be able to appreciate your trip. First, make sure to take lots of breaks, you are going to be walking for miles each day, so take it easy. Be sure to stay well hydrated, this is very important. If you overheat you will become very grumpy, so drink plenty of cool water. 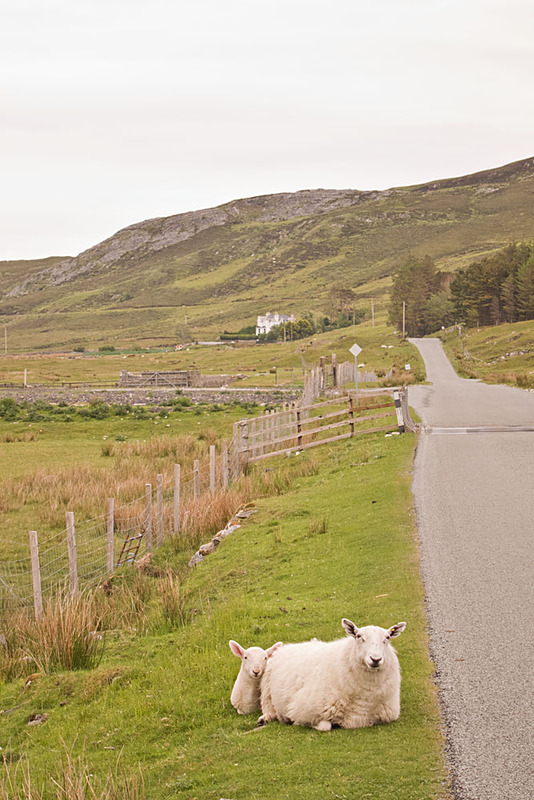 If you can catch a ride with a local, do so. 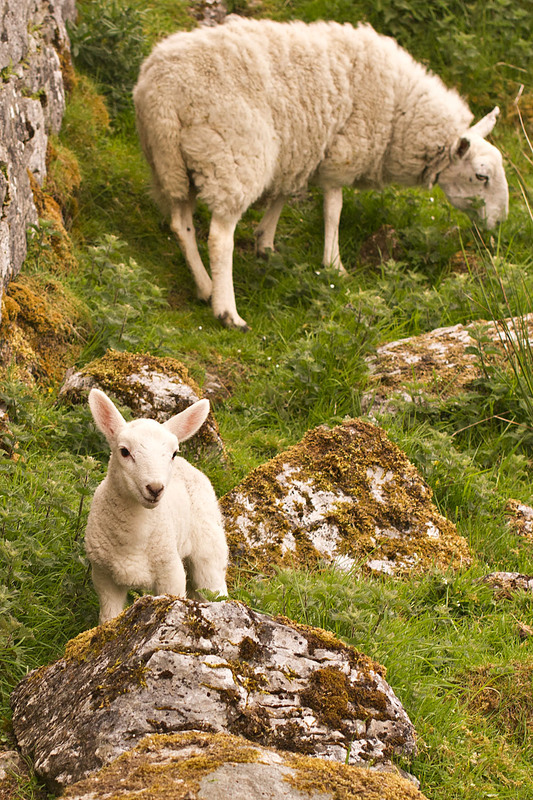 Locals can give you a more authentic perspective into what daily life is really like at your destination. Most importantly, be sure to relax, a stressed explorer is not a happy explorer. Be sure to smell the flowers and enjoy the experience, no matter what it brings. 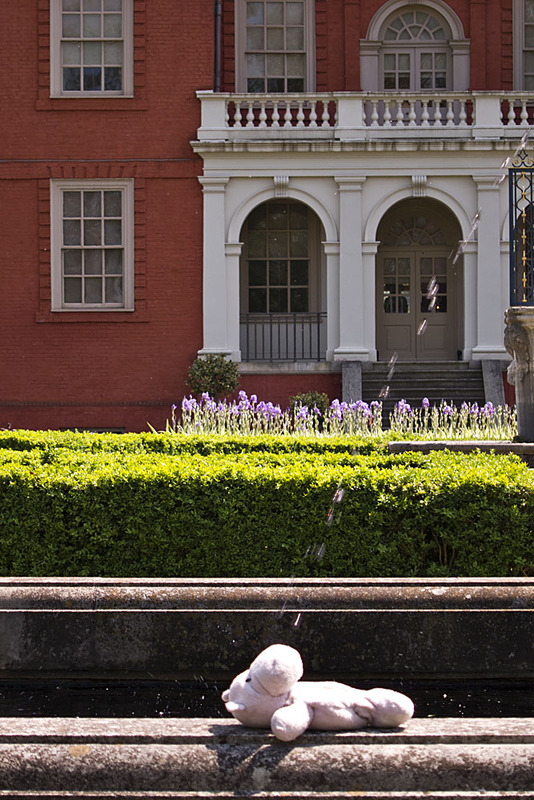 Hopefully these tips will help you make the most out of every day of your vacation. Be sure to enjoy yourself and take lots of breaks. 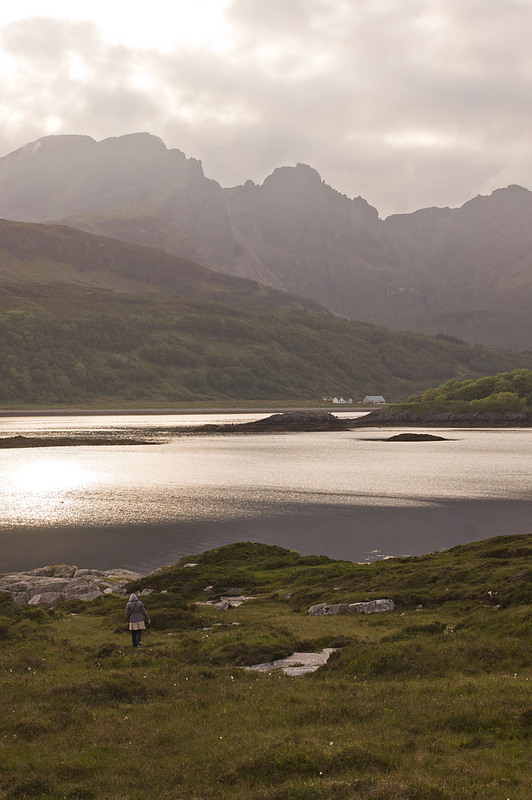 Loch Slapin on the Isle of Skye, Scotland, is an exquisite place to escape from it all. 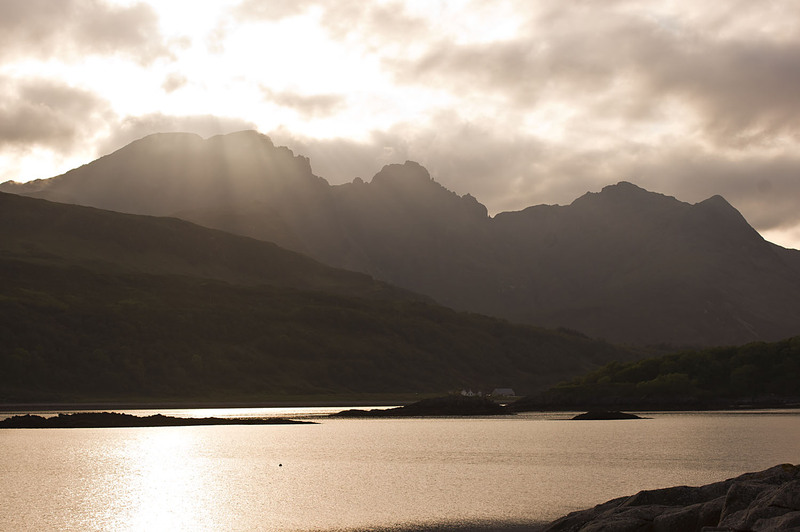 We suggest exploring the coastline around dusk to be able to enjoy the tranquility and beauty of this area of the Island. 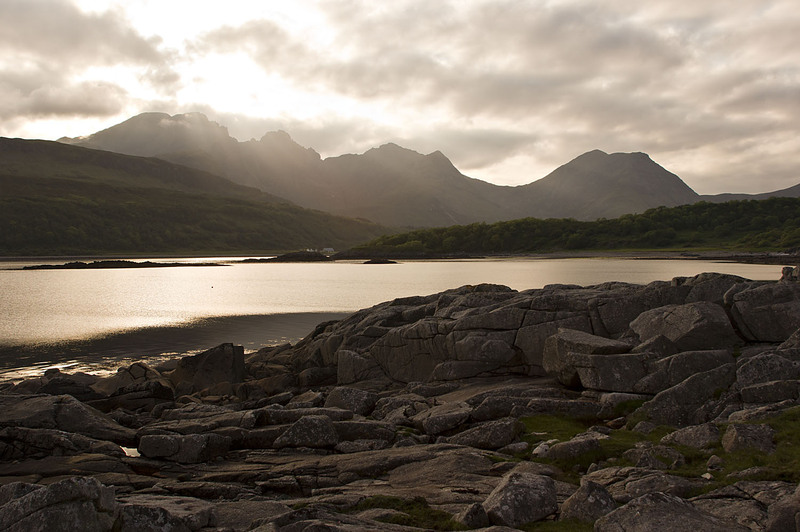 This lovely view is just a short drive from the ruins of Cill Chriosd, on the road from Broadford village to Elgol. 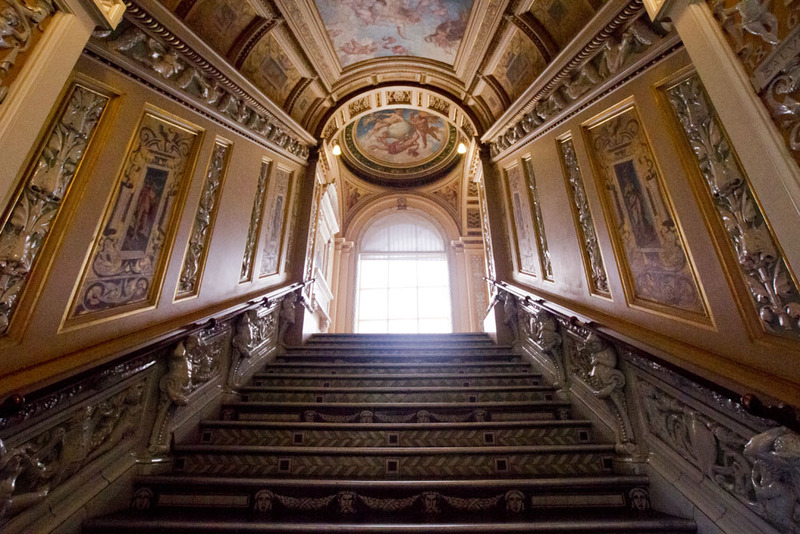 There are tons of great things to see when visiting the Victoria and Albert Museum in London. The silver galleries beautifully house an exquisite collection of silver. 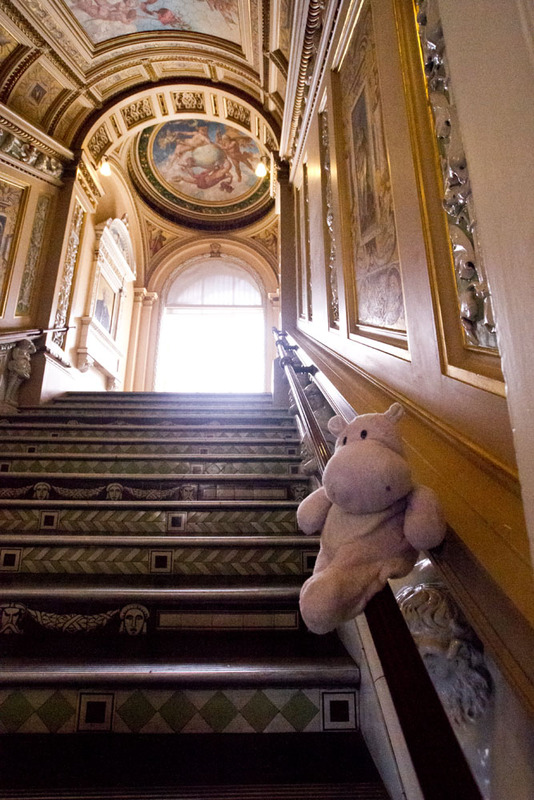 The most spectacular way to enter the galleries is by the Ceramic Staircase which provide a glimpse into the original designs of the museum and the founding desire to focus on design as well as craft. 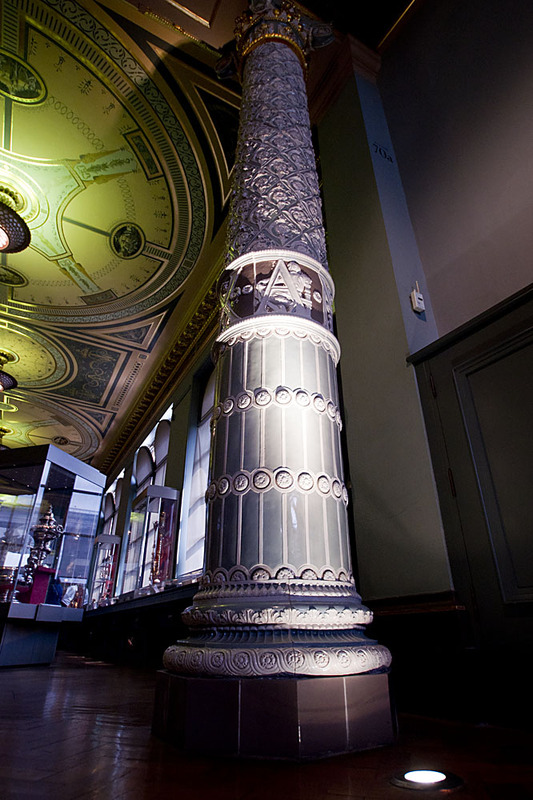 Once you reach the Silver Galleries be sure to note the two Minton ceramic clad columns that were reconstructed after a discovery of some of the original tiles in the museum’s basement. 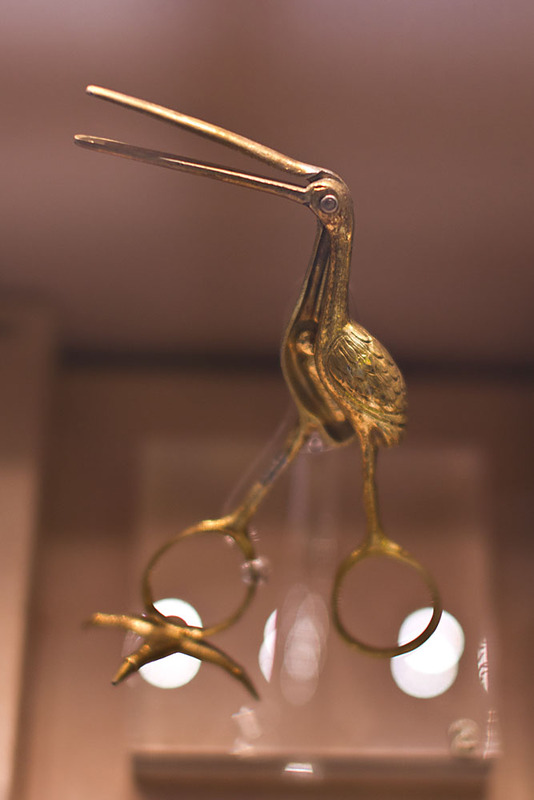 There are many strange and delightful trinkets on display in the Silver Galleries. 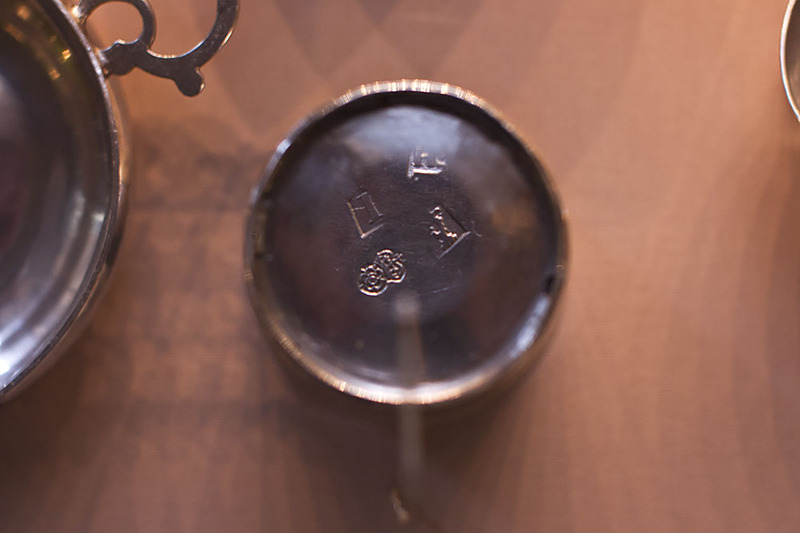 There are a wide variety of miniature silver pieces in the collection, many of which were designed for children. 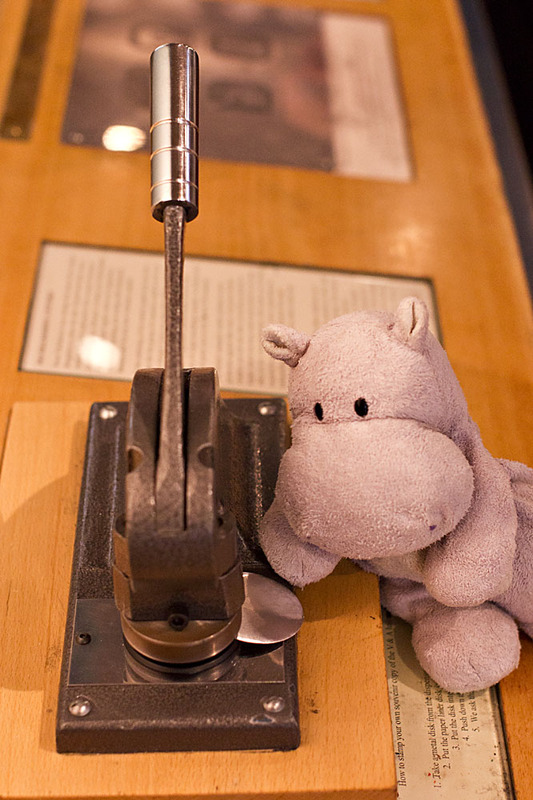 There are a number of hands on activities in the Silver Galleries. 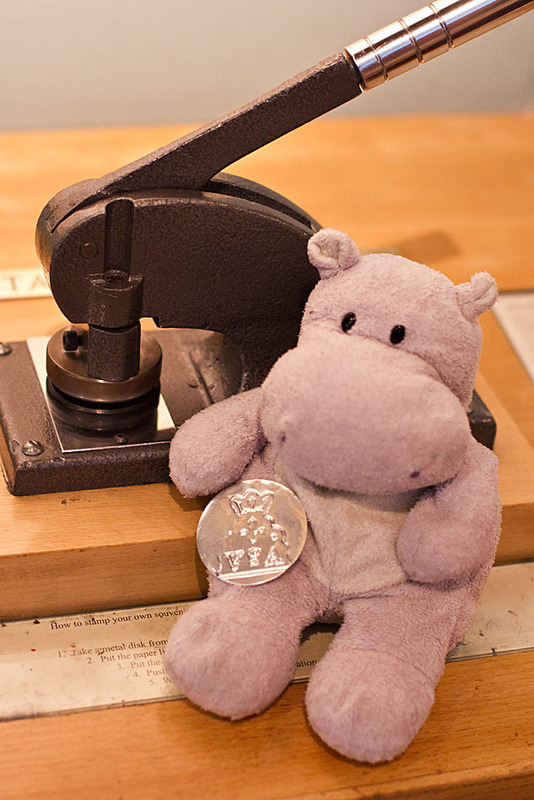 There is also a great activity where you can make your own hallmark, just like those found on real silver. 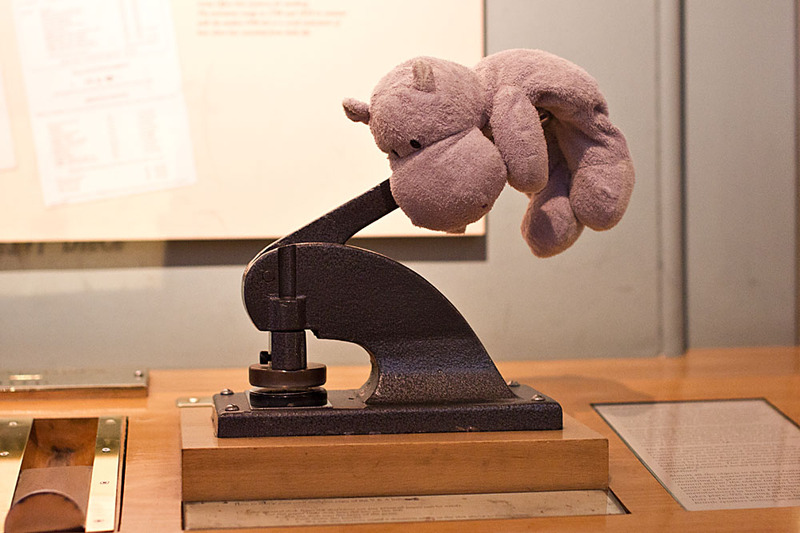 Here is the process for creating your own hallmark. 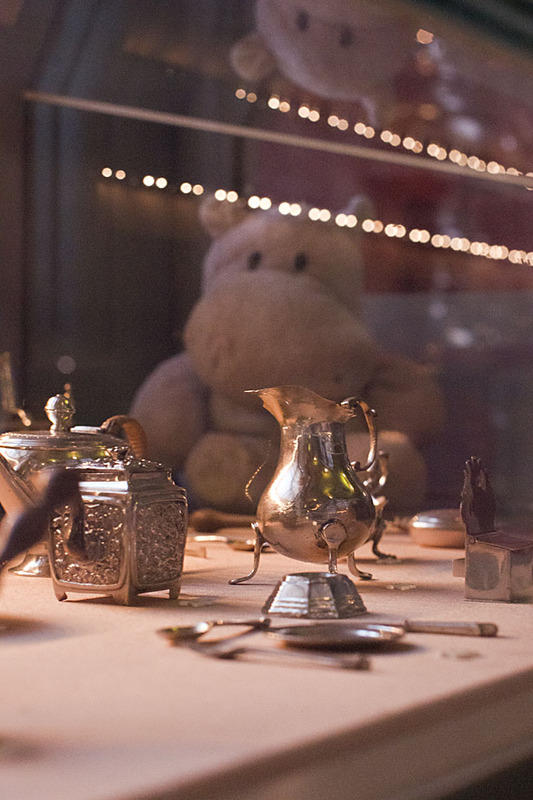 The Silver Galleries at the Victoria and Albert Museum provide a wonderful display of imagination and creativity. I would highly recommend a trip to this museum and a playful exploration of the Silver Galleries, located on the third floor. 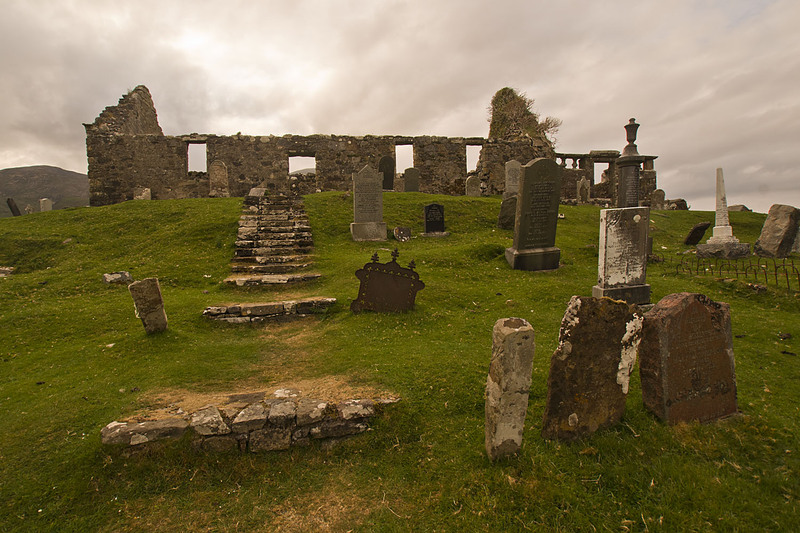 Cill Chriosd or Kilchrist meaning Christ’s Church is a ruined pre-Reformation parish church of Strathaird, Isle of Skye, Scotland. 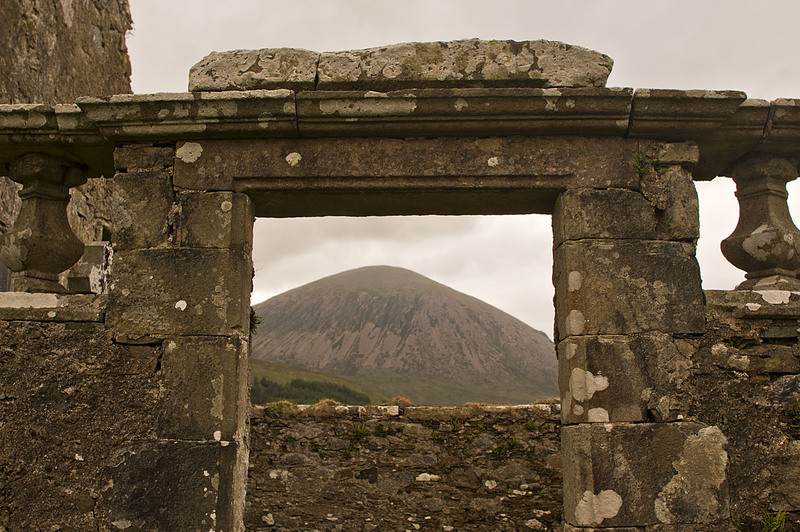 The first written record of the church located at this site is from 1505 when Kenneth Adamson succeeded John MacGillivray as chaplain. 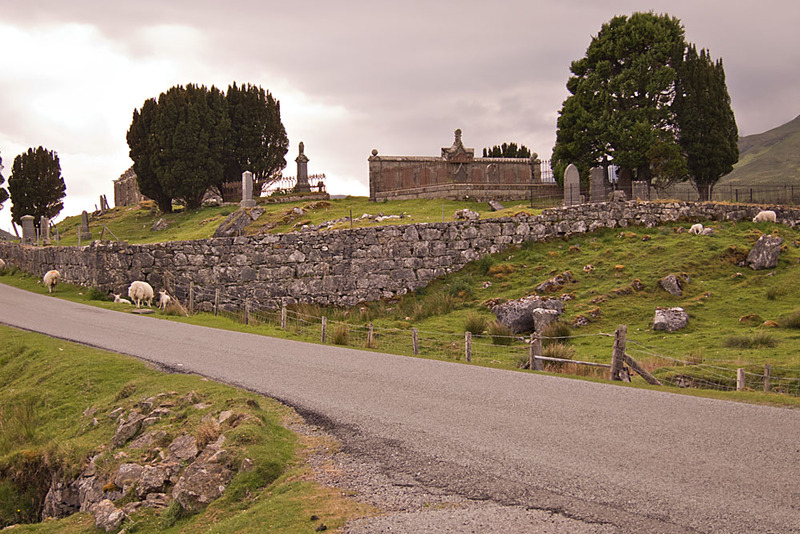 The parish was used by the community until 1840 when a new building was established in the near-by town of Broadford. 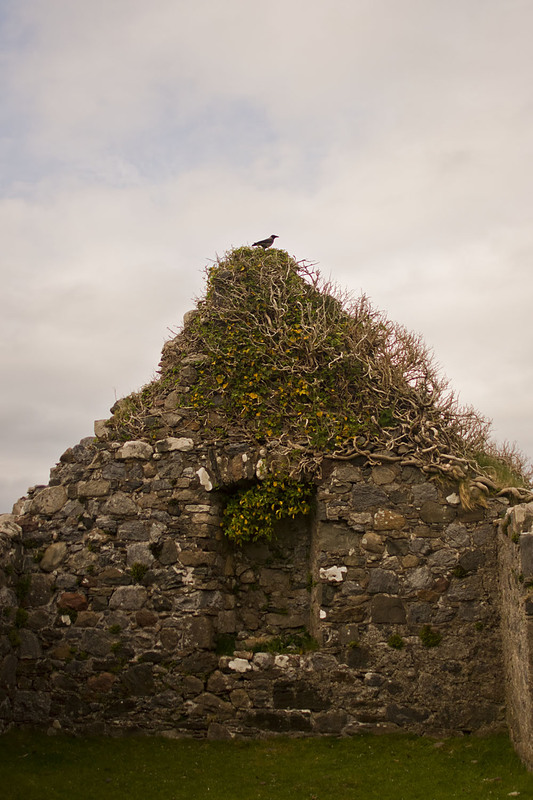 These ruins are so very quiet and calm, the only noise that one will hear is the bahs of lambs calling to their moms. 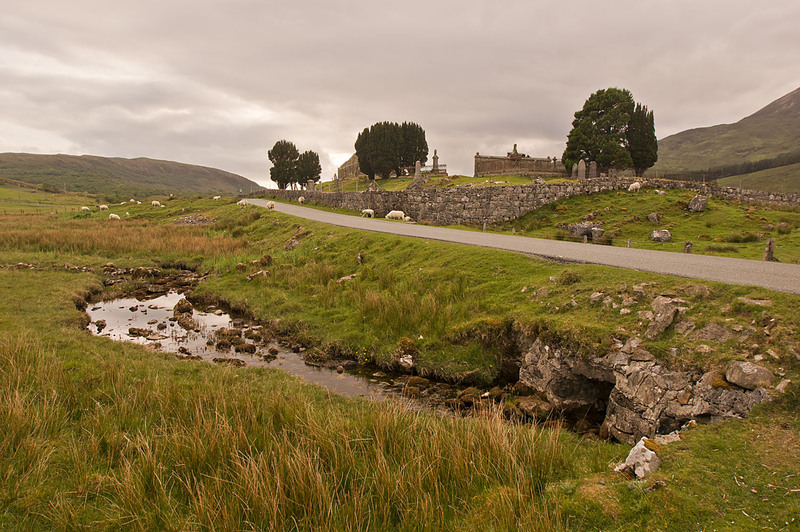 The ruins are located next to a single-track road, surrounded by the omnipresent sheep. 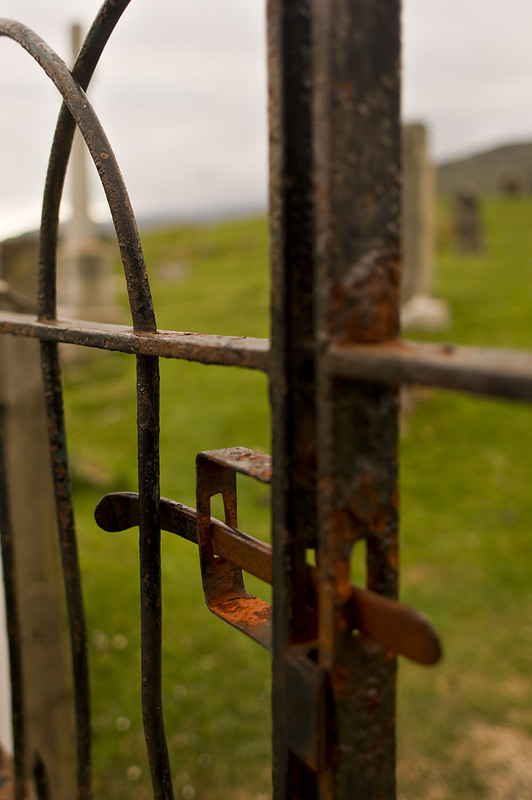 To enter the ruins, one passes through a small iron gate that is often left open, as can be seen by the neatly trimmed grass, a hallmark of the free-range sheep of the area. 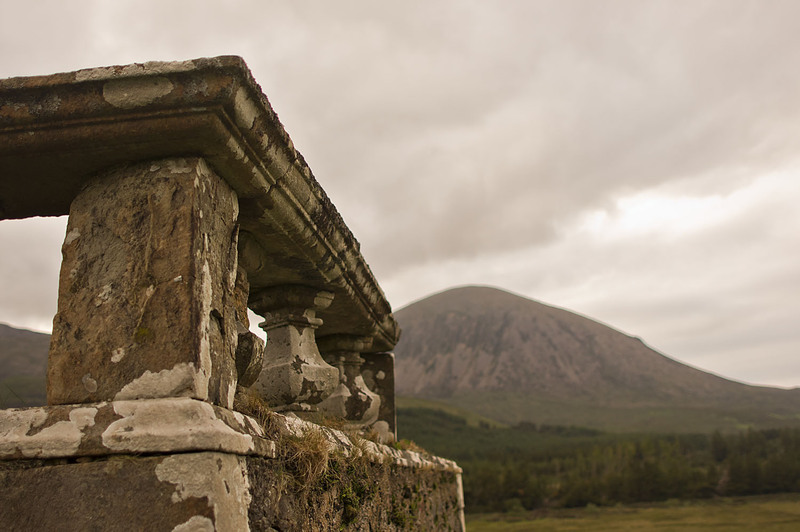 The Red Hills and the sheep add a comforting and strangely desolate feeling to these ruins. 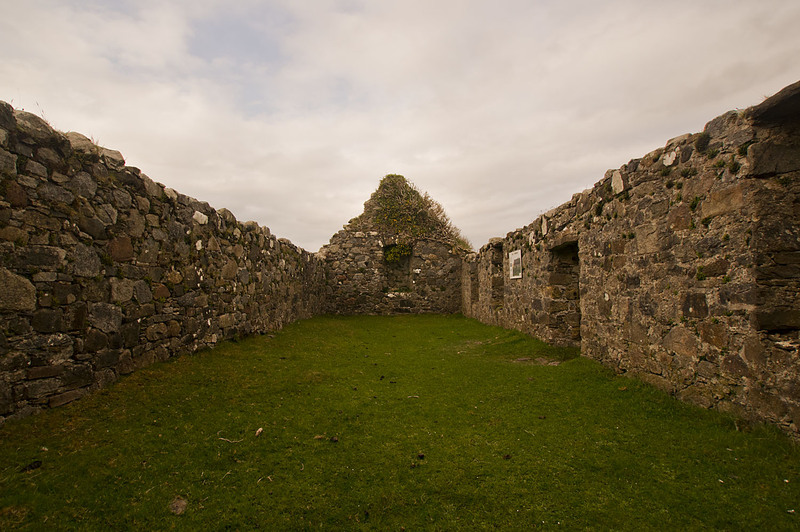 Cill Chriosd is an understated attraction, the only reason that we stumbled upon it was because we were staying just a few minutes up the road from it at Swordale House, a delightful bed and breakfast that I would recommend to anyone staying on the Isle of Skye. 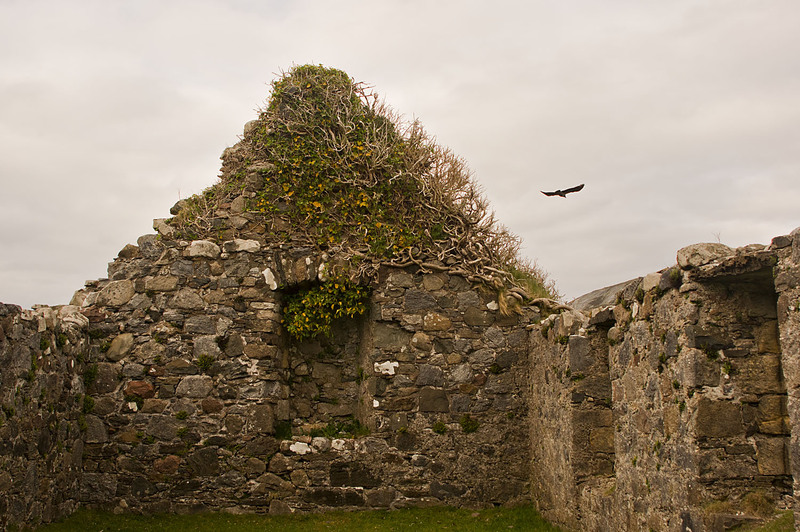 While Cill Chriosd does not offer the most spectacular of ruins, it is an impressive monument to hundreds of years of religious island life. 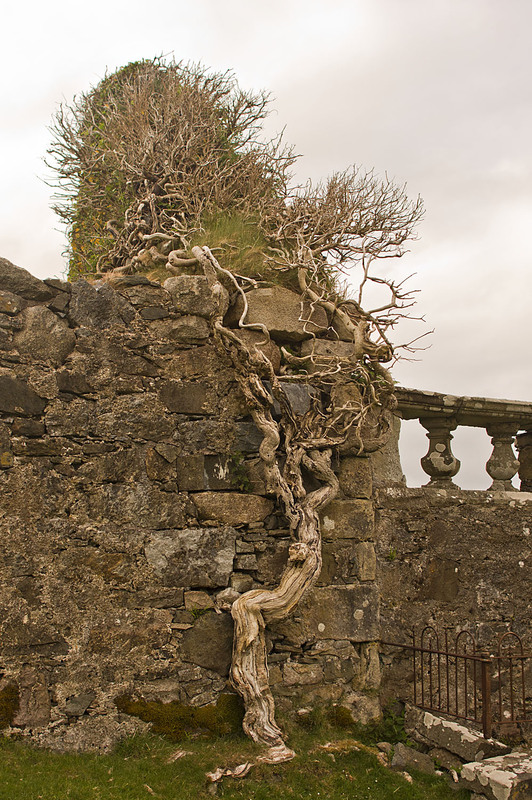 You will not have to fight the crowds to explore this wonderful site, so be sure to stop by. 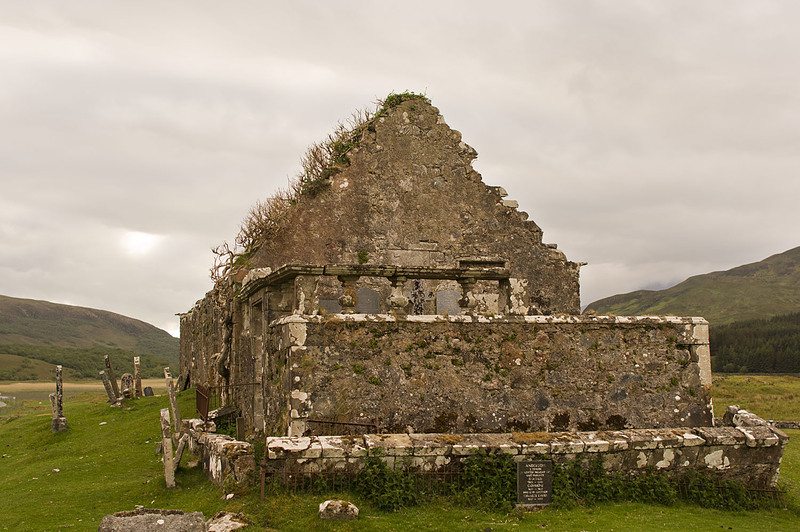 Cill Chriosd is about two miles from Broadford village on the B8083 road to Elgol.